Its summer, the sun is shining & you are looking to catch some rays. 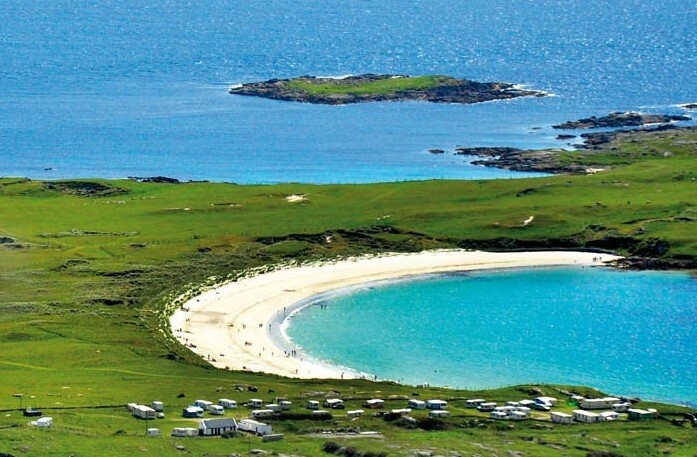 What better way to pass the time than one of our beautiful beaches located in County Galway. We have compiled a list of five beautiful beaches our Citylink passengers can visit throughout their stay in Galway. Here are five stunning beaches that have put Galway well and truly on the map. Lying side by side, Dogs Bay and Gurteen Bay are two of the most beautiful beaches in Co Galway and most likely in the West of Ireland. They are located within a two mile radius outside the picturesque village of Roundstone in Connemara. Dogs Bay and Gurteen Bay form one of the finest stretches of coastline in Connemara, offering uncompromising views of Errisbeg and the surrounding countryside. Both beaches are well sheltered from currents and are considered safe for swimming and other watersports such as windsurfing and kitesurfing. 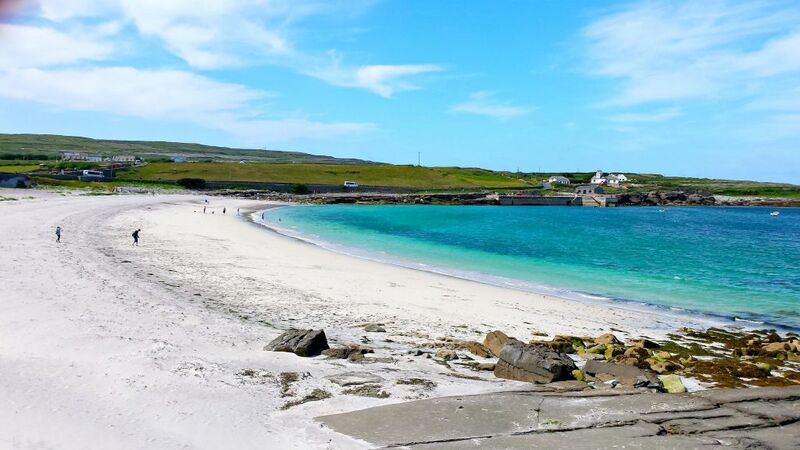 Kilmurvey Beach is a gorgeous sandy beach with blue flag status on Inis Mor, the biggest of the Aran Islands. It is perfectly secure for swimming for those of all ages as there are no heavy currents unlike some of the more hidden beaches. The white sand contrasts beautifully with the blue water on a sunny day. There are some perfect picnic spots on the dunes and toilets near the roads. When the tide is right you can jump off the old pier into the clear water. Carraroe beach, which is also known as Trá an Dóilin, is an area of sublime natural beauty. The beach is noted for its very fine coral. The beach is lifeguarded and has toilets throughout the bathing season. There are lots of little rock pools to explore along with good snorkling and is usually less busy that the city beaches. The beach at Salthill is actually several small beaches separated by outcrops. Some of the beaches are sandy and some pebbly. It is located in Galway city and overlooking Galway Bay, a Special Area of Conservation. The beach is lifeguarded from mid-May to the end of September from 11am to 7pm. Salthill beach has been a blue flag beach and enormously popular in fine weather during the summer. Silverstrand has a safe, shallow, sandy beach of approximately 0.25km bounded on one side by a cliff and the other by rocks. It is particularly popular with and suitable for young families. It faces directly into Galway Bay, giving spectacular views. There is a promenade with parking capacity for about 60 vehicles. It is suitable for swimming at low tide but the beach is largely covered during high tides. It is lifeguarded during the summer months. So there you have it, five of the finer beaches in Galway, if you have any suggestions or plan on taking a trip to any of the above, we suggest Goggle Mapping…after Citylink drop you off at Galway Coach Station of course.